Abacus digital mileage correction services, we provide a mobile service throughout London, Essex, Kent and Surrey. 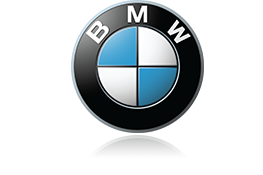 We cover most makes and models on the market today we cover most vehicles up to 2016. Our fully qualified, experienced technicians are available 24/7 and can come to your home or workplace. Alternatively we can meet at a suitable location or you may visit us at our workshop premises. Call our technician direct on 0207 887 2621 for your free quotation and any advice. Reasons why you’d require our services would be for example you’ve changed the speedometer on your vehicle, the car has been involved in an accident and caused a power surge on the system, or you’ve jumped started the vehicle and the mileage either jumped to 999,999 or a different figure. We can correct or recalibrate digital dashboard displays on cars/vans/trucks and motorcycles to ensure your odometer figures are calibrated correctly should the dashboard on your vehicle become corrupted or broken and the digital display is not relevant to what it should be. Digital cluster displays can often go wrong requiring the need of correcting or recalibrating. Our experienced digital mileage correction technicians are available 24/7 and all our work is fully guaranteed and carried out to the highest possible standard by our fully qualified, experienced vehicle electronic experts. We can correct the mileage on some motorbikes, jet ski’s anything which has a digital display can be corrected all our technicians are very highly qualified in a range of components to make sure that the job is carried out to a high professional standard. By using ‘state of the art’ very latest 2014 digital odometer recalibration/adjustment equipment we are able to re-program the mileage and data to the correct figure. Data and mileage readings can be incorrect on a vehicle caused by a variety of reasons such as cluster/dash replacement or an electrical fault. 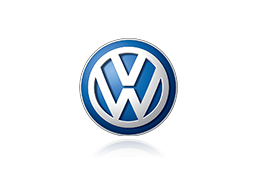 All our devices have been updated to the latest 2014 software which means we can cover all the latest models Volkswagen, Audi’s Seat and Skoda. Citroen Ds3 & DS3 Via the OBD plug without the need to remove any units from the vehicle. Latest Mercedes E class vehicles via the OBD plug no need to remove any units from the vehicle again. Ferrari 458’s via the OBD plug again no need to remove any units from the vehicle to correct the mileage. We are London based and have a garage just off central London and one in Essex Harlow. We operate a mobile service which means we cover the whole of London, Most parts of Kent, Surrey and Hertfordshire. Listed below is a list of just some of the areas we currently cover with our speedo cluster & diagnostic repairs. Click on the counties to see list of towns/cities we cover. The data is stored in a microchip (EEPROM) which can be re-programmed but some cars have the memory stored in over 160 locations which will all need to be synchronised. We have the expertise and equipment to sync all memories correctly and effectively. We keep on spending to get the latest updates for different vehicles, which means in some case scenarios we are only the only company in our coverage area offering a correction service for a specific vehicle. For example Renault Megane 2012 + We can correct the digital display but simply connecting our device to the OBD port of the car, whilst our competitors have to insert can-blockers to block the sync. We cover more manufactures than most companies for our mileage correction services throughout most of London, Kent and Essex. We now have a locksmith division which means we can assist with the same level of service we have been offering throughout the last 7 years of business. Or locksmiths are fully equipped which means they will be able to deal with lost/broke car key on site. Car locksmith services throughout the whole of London. Call us today for a price.